Finally, fall is here. Well, it's here for most of the country. 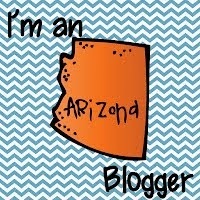 Here in the desert Southwest we don't really have a fall, but we like to pretend! One way we make it feel like fall is to decorate with scarecrows. I'm a traditionalist when it comes to scarecrows. 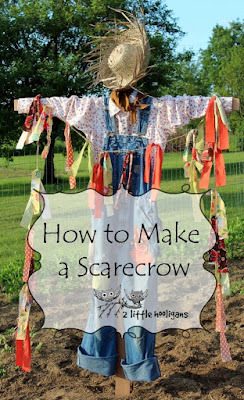 I found this pin that leads to directions on how to make a scarecrow. 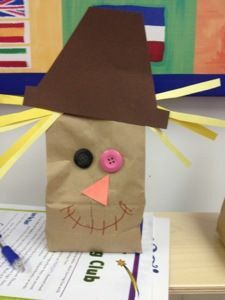 For an easy scarecrow your students can make, what about this scarecrow made from a brown paper lunch bag. Hmmm, what would you put in the bag? You can't have a theme without something to munch on! 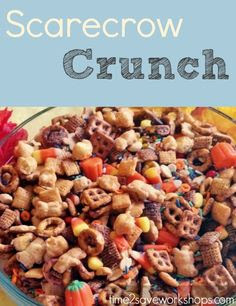 This Scarecrow Crunch looks yummy! 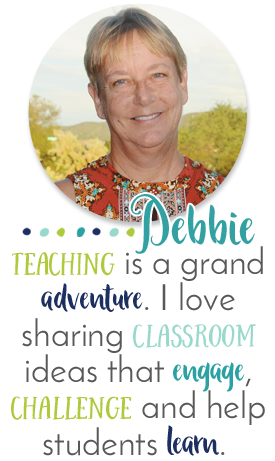 After having fun making scarecrows and munching on Scarecrow Crunch you can have your student write about scarecrows! 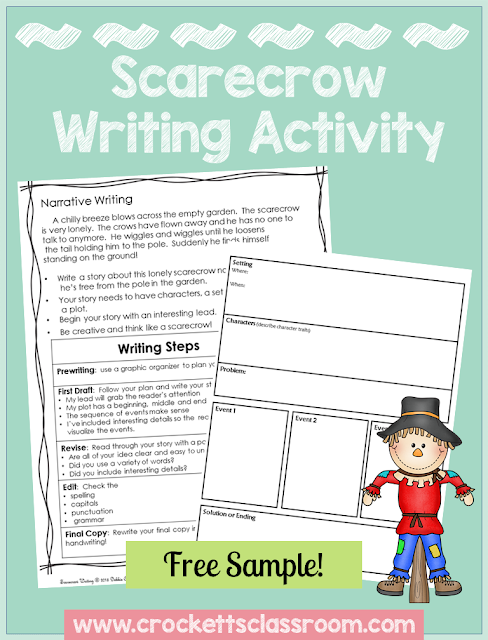 Try out this free sample writing activity about scarecrows.